So honored that I was chosen as the Agnes Meyer Teacher of the Year from Loudoun County, Virginia for 2014! My open letter to Governor Chris Christie was published in the Washington Post today. I am a teacher in Northern Virginia and have been watching you for years. I appreciate your honest and genuine approach to politics although I do think you can come across as a bully sometimes. I am writing to you because I really hope to help you understand that to blame all teachers for the failing schools in the United States is not only unfair but keeping us from getting at the root of the problem and keeping us from addressing some real achievable changes that could occur. Teaching is a second career for me. I am an attorney and have worked in both the criminal field with minors and the child abuse court with them. Through my many years as a lawyer and teacher, I have been able to observe many school systems and children. What I have learned is that it takes three components to make a successful school system. We are so busy focusing on the one component, we forget the important other two. It takes all three components: parents at their best, caring and supportive teachers and finally a community that creates a safe and nurturing environment. First, may I say that all school systems are not failing. It has become all too easy to bash teachers. In fact, I am fortunate to teach in a great school system where my own children attended. But while representing minors in Los Angeles California in some very dangerous areas, I did see many failing schools. What I have come to understand is that we can’t keep focusing just on the teachers themselves. There are two other important and essential components to a great school system where we must put our attention in order for change to occur. It takes the support from parents and the communities within the school districts to make the school successful along with great teachers and staff members. We must help parents of every child be the best for their child. They are the most important teachers in a child’s life. We must demand from the communities where schools are located that they create a safe and supportive environment for the schools. Think about it Governor Christi, you send your children to parochial school because those school have these essential three components. The first and and most important piece of the puzzle of successful children is parents at their best. Without a doubt parents are the most influential and important people in a child’s life. Sometimes they are the only role models in a child’s life the first five years and those first five years are critical years in a child’s development. But there is no handbook or schooling on how to be the best parents. Many new parents repeat the same parenting that their parents bestowed on them. This is fine if they came from an emotionally supportive family but what about all those dysfunctional families? They are continuing the cycle of dysfunction over and over again. These aren’t bad people, they just don’t know any better. Quite frankly even those people from functional families could use new and innovative skills to be the best parents they can be for their child. The discovery about what makes good parenting skills led me years ago to interview parents of successful children to see what they had done as parents. What I found was a common thread of ideas and advice that I felt compelled to put in a book. I wish I had known these things when I was starting out as a new parent. 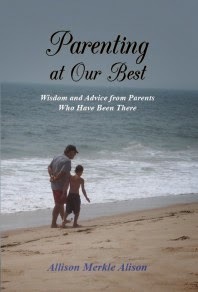 Many of the things I learned from these parents I knew because I was raised in a very loving and supportive home, but I still would have loved to have been educated in this early on to be just a little bit better parent for my children. I would love to see a “Revolution” of such that focuses more on better parents then just school systems. The communities where the schools and children are located need to take an active role in making sure the schools are located within safe environments and that there are additional resources for parents who need it. The communities in a school district should be responsible for making sure all children are able to get to school safely and feel free from danger in their school. The residents within the school district must be willing to pay for whatever resources are necessary to make that happen. Whether it is police officers in the schools or neighborhood watch groups on the streets, the community must come together and create a safe atmosphere. Also the community needs to provide resources in the way of mental health facilities, drug rehabilitation or other resources to give additional assistance to parents who are struggling with challenging children. This is not just the parent’s problem, it is a problem for all of us and we must demand that our communities through taxes or services help out. We all benefit when children grow up to their full potential and are productive law abiding citizens. When we turn our backs on these issues and say it is not our problem, we pay in the end in expensive and overcrowded jails and prisons. According to a CBS article “The Cost of A Nation of Incarceration”, the average cost of an inmate per year “among 40 states surveyed by Vera Institute of Justice is $31, 307”. Why not invest in children when they are young and help them to meet their full potential. I truly hope you will consider what I have written and keep an open mind when it comes to trying to solve the problems of failing schools. We can make failing schools better but we can’t keep doing the same things. We can’t keep relying on teachers and schools to solve all the problems. What works in the suburbs or parochial schools does not necessarily work in the inner city. We need to address the other two elements in order to make real change. We can do it if we change the focus. My Story: Allison Alison from LCPS-TV on Vimeo. Are Violent Video Games Addictive and What Should Parents Do About It? The issue of the effects of violent video games on children is a hot topic especially in lieu of the Sandy Hook shooting and many other violent crimes. Katie Couric dedicated an entire show to the topic and introduced people who had been gravelly affected by them and her guests felt strongly that video games were addictive and dangerous in the wrong hands. What are parents to do? There is no question that these games have a huge appeal on the male population and even some females. But are they safe for children? And can they become addictive and lead to a child committing unthinkable violence? When I interviewed the parents of successful children for my book, they kept repeating the same message over and over again. Parents must limit “screen” time. They were not just referring to video games but also any electronic device such as television, computers, phones, and ipads that require a screen. They felt children today spent way too much time on these devices and they needed to be outside playing more. What happened to the days where children spent hours outside with friends with nothing more than a discarded box or tire coming up with creative ways to use it? I can remember playing with a big appliance box that had been delivered to our house for hours. Do children today even know how to just go out and play in the yard with no set agenda or activity in mind? I can remember doing some creative and fun things with just sticks, rocks and string. But the question still arises should children be playing these games at all and what are the effects on them? According to the American Psychological Association, violent video games can increase children's aggression. I was curious about this issue since as a parent I had allowed my own son to play these games. He wasn’t allowed to play them until he was around thirteen and his screen time was limited. Fortunately for me, my son liked to play sports video games and be outside playing sports more than playing violent video games. I brought this topic up in my government class last spring and l learned a lot from the males in the room. This was a senior class so most of them were already eighteen. The question came up in the government class whether the government should regulate violent video games. I remember it was a heated topic and we had a really good discussion but what I learned from them was that most, if not the majority of the students felt it was not the government’s job to regulate the violent games but the parents’ job. They really did believe that parents were the ones who needed to supervise such use and make sure their child was able to psychologically handle the violence and understand it. They also felt it was up to the parents to limit such activities. I asked them the question whether they believed violent video games could be addictive. Most of them felt anything done in excess could become addictive. But to my surprise I actually had several males bravely speak out and say that they had become addictive to these violent games and that they were the proof it was possible. We had an interesting and enlightening discussion on the topic and I learned a lot. At the end of class, I spoke with a couple of the young men a little longer about their experience. I felt like I had been given this gift to really ask them why they thought they were addicted and how they turned things around. The message that came across clearly to me was that all of them reported becoming addicted to the games around middle school and the beginning of high school. Those are the critical years and must be watched closely. They said they knew it was bad when their friends would ask them to hang out and do something and they just could not go. They knew they should go hang with their friend but they just could not leave the game. They were too into it. When their parents tried to limit their use, they admitted to becoming belligerent and disrespectful to their parents. They just weren’t the same person as before. They eventually realized on their own it was not healthy and learned to limit the games. I asked them what advice they would give a parent of middle school age who seemed addicted. They were adamant that taking the games away “cold turkey” was not a good idea. They said like any addict this is just too hard. Also they said their child would find a way to play even if they had to lie and sneak around to do it. Teach them how to limit the exposure and talk to them about the effects. They may even need counseling. They felt that parents should know their child and whether they had the mental capacity to handle such games. If they were concerned about their child’s mental state, they really should not be playing them at all. So are violent video games addictive? It would seem there are many reliable sources to say they can be. It seems it is up to us as parents to monitor such activities and teach responsible use just like with a gun or any other dangerous activity. When I think of the tragedy at Sandy Hook, my heart goes out to the parents and families that lost those beautiful children and brave staff members. I cannot imagine a pain as a parent worse then what they are experiencing. We all need to take responsibility, as parents to teach our children to be good law abiding citizens and talk about the reality of violent video games. We can start by limiting screen time and having real discussions about the true nature of the violence in those games with our children. And maybe, one day, just give them a big old discarded box and send them outside to play. What do you think? Please let me know in the comments below. One thing you can do as a parent that will help your relationship with your child is to really listen to them. This was one of the key pieces of advice given to me after I spent two years interviewing parents of successful children. I wanted to know the secrets of good parenting and so I set out to find these out not knowing I would eventually write a book. Listening, really listening is an essential skill not only in good parenting but also in any relationship. When you really listen to someone, particularly your child, they feel valued. Everyone wants to feel valued. I have to admit, I was not good at this skill until I learned how to do it properly. Before I learned how to listen, I would be talking to a person and as they were talking I would be formulating my response and not really listening. My children would come to talk to me and I was eager to jump in with advice and often interrupted them to make sure they knew how I felt about what they were talking about. Never realizing that by doing this, I was not really listening to them. All children need someone to talk who will really listen. If you do not learn how to listen, they will go to someone else. They desperately want you, as their parent, to be the person they can come to however, parents are not often educated on how to do this. While teaching for over the past ten years, I also sponsored a class called PEER. PEER is an organization at schools that trains students in the school to listen and help other students out. It is an alternative to their guidance counselor if a student doesn’t feel comfortable talking to an adult. We are associated with the Department of Social Services, and we work with social workers. One of the great things about the program is that the social worker assigned to the school helps train the students on listening skills. Over the years, I have learned so much from this training. I have learned to be an active listener and it has made me a much better parent, spouse and friend. Active listening is actually easy to do. You just have to make a conscious effort to do it. How many times have your children or spouse came into the room to talk to you and you are busy do something else? You pretend to listen and say a lot of “ahas,” but you are not giving that person your full attention. In PEER, we are taught the SOLAR approach to listening. SOLAR stands for S - squarely facing the client, O - openness of posture (don’ have your arms crossed), L - leaning forward (slightly), E - eye contact, R – relaxed. You are showing the person with your body that you are present in the discussion and value them. We also learned other techniques like, paraphrasing back what they say to check for understanding to make sure you know how they are feeling. For example, “it sounds like you are upset with your teacher because . . .” We also learn not to pass judgment at all about what they tell us. This is hard as a parent when they come tell you things about their friends. You really have to try to not pass judgment and go crazy when they tell you things. Just listen. When they are done, the next technique is to use questions that will help them figure out a solution if there is a problem. In PEER, we never give advice; we just help them figure out on their own solutions. This way they cannot blame anyone else for the results. This can be a very powerful learning tool for your child. Learning to come up with their own solutions to problems will help them in life. If you are always fixing things for them, they do not learn to stand on their own two feet. As a parent I know I still feel the need to impart my wisdom on them, and I do from time to time. So next time your child comes to talk to you, stop what you are doing, the wash, the dinner, whatever it is, and really listen. Make them feel like they are the most important thing at that moment. Another one of the lessons I learned in PEER is that children may not be willing to open up to you right away. If you ask, “How are you doing?” the answer is usually “fine.” They won’t just tell you everything they are feeling when you ask them, particularly boys. You may have to “take them fishing”. I don’t mean literally but it could be the activity you do to get them talking. What I mean by “take them fishing” is you need to do an activity with them and while you are doing the activity, talk to them. They are more apt to open up to you while doing an activity and not realizing they are having a conversation. It can be anything from coloring to actually fishing. Find out what they like to do and do it with them. I even played Guitar Hero through Xbox just to connect with my son. We do this technique in PEER when we mentor the middle school students. We go over to their school twice a month and we found that we had to do an activity with them to get them talking. Try it. It really works and it is fun. By keeping these high standards when it comes to dealing with our children, we keep that constant line of communication open where our children feel free to express themselves and tell us what is on their mind. Research also supports this fact, showing that in school students felt valued when a teacher listened and cared about them. This was more important to their ability to learn than the teaching itself. Listen to your children. Let them know that they can always come to you with anything and that you will not judge them or condemn them. Let them know you may not be happy they did what they did but they can always talk to you. As a parent, you can’t be too tired or too busy to listen. Today, I learned about a new of group of teachers called BAT (Badass Teacher Association). They are tired of being blamed for all the problems in public education. I understand their frustration. I believe there are three key groups who contribute to the success of schools and students. Parents who are engaged in their children's lives. Teachers who bring out the best in their students. Communities that make sure the school is safe and provides services. As parents, we far too much responsibility and blame on teachers, but the reality is it requires all three of these groups to have a successful child and school system. Allison Merkle Alison graduated from Pepperdine Law School in California and worked as an attorney in the Los Angeles Public Defender’s Office, then as an attorney representing children in the Child Abuse and Neglect Court in Los Angeles. She moved back to Virginia, where she had been raised, and represented children in the Loudoun County Court System. She went on to get her Masters Degree in Education from Marymount University and has taught in the Loudoun County Public School District since 2001 as a high school teacher. She has worked with children in many capacities for over two decades. She lives in Northern Virginia with her husband and three children. My book is available from Balboa Press.